Over the weekend I did some online “window” shopping for new stash. 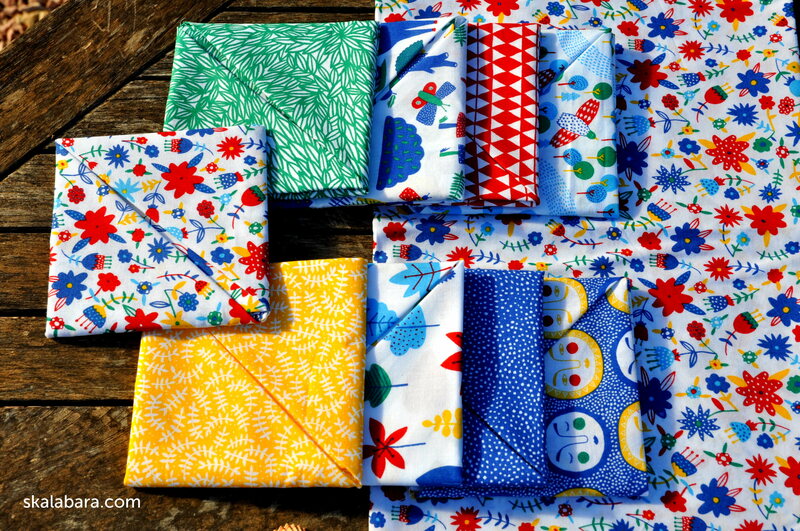 I was looking for fabric shops, preferably in Europe, that also stock organic cotton. I don’t know how, but I finally found Eclectic Maker in the UK. 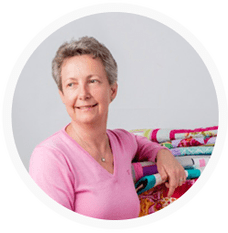 They have a range of fabrics from Birch Organic Fabrics and Cloud9 Fabrics. Plus many others. Anyway, I got a pack from Cloud9 – In the Forrest by Steffie Brocoli. Ordered on Saturday and received today per mail, perfectly packed and the fat quarters were nicely folded into neat squares. Very professional. 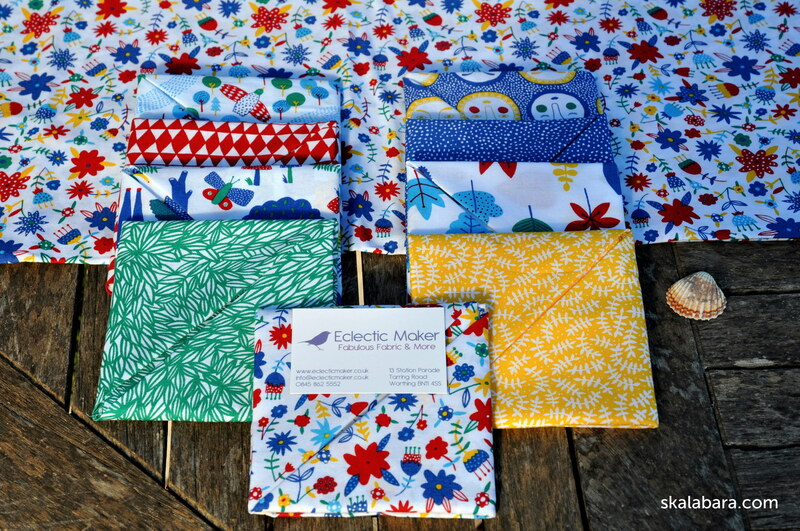 So maybe you, my readers, have a spare minute to check the Eclectic Maker ! 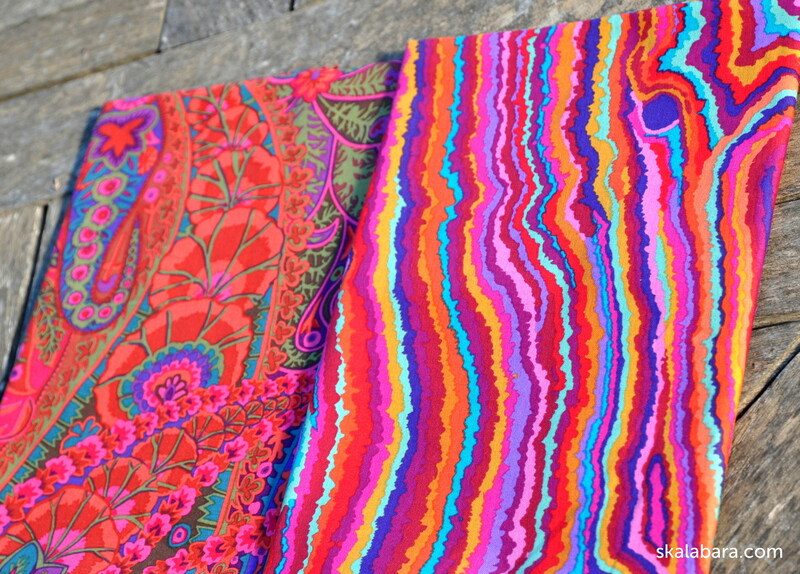 And not only they have a nice website, but they also stock Kaffe Fassett fabrics – my favorite designer at the moment. So I couldn’t resist and got these two pieces in red and rust. In 2 days time I am on my way to Mum. Hopefully the weather is not too cold in Prague. We had some rain and thunderstorms here on Tuesday, the temperature dropped significantly and I had to get out some sweaters with long sleeves.